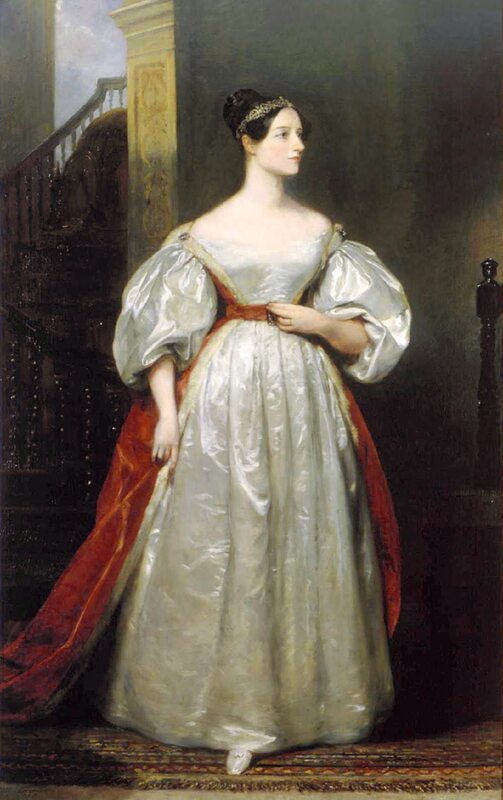 Augusta Ada King, Countess of Lovelace, was the only legitimate child of the poet Lord Byron and his wife Anne Isabella Milbanke. 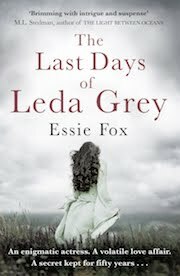 However, Ada never knew the father who deserted his wife only a month after her birth and who died when his daughter was nine years old. As a child, Ada was often ill and suffered complications following a bout of measles. After that her domineering and hypochondriac mother kept her in isolation while also attempting to allay any trace of ‘immorality’ or inherited 'poetic tendencies'. She insisted her daughter be tutored in music and mathematics, no doubt relieved when Ada proved to be gifted in such areas ~ even producing a design for a flying machine. 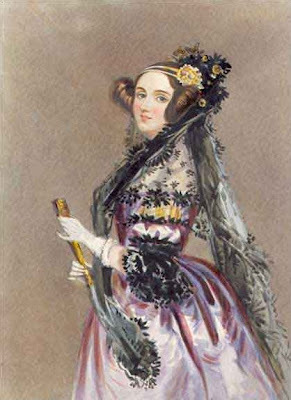 Ada’s talents really came to fruition when, at the age of seventeen, she met with Charles Babbage, Lucasian professor of mathematics at Cambridge University. 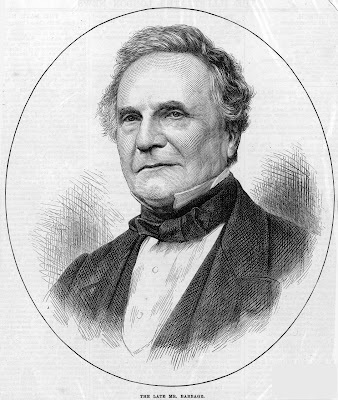 There, Babbage had already begun his work on mechanical computers, even though his machines were never made with parliament refusing to sponsor plans submitted for the ‘Difference’ and ‘Analytical’ Engines. Babbage did find sympathy abroad and was aided by the Italian mathematician, Louis Menebrea. When he then returned to England again, Ada ~ his little Enchantress of Numbers ~ helped with translating Menabrea’s notes. From these she formed an algorithm: a code to enable the processing of the machines her mentor had in mind, even though they were never constructed during the inventor's lifetime. But, for this work she is now viewed as being the first computer programmer. There is also evidence that Ada suggested punch cards for use with the Analytical machine, even suggesting that its scope might aid the composition of music. Ada married the 1st Earl of Lovelace, afterwards residing at Ockham Park in Surrey where the couple produced three children. Sadly, she died at the age of only 37, after suffering from uterine cancer, and perishing from an excess of medicinal blood-letting ~ at the same age, and from the same cause as her father had before. She was then buried at Lord Byron's side. The daughter reunited with the father never known in life. Finally, if you like the idea of ‘steampunk’ Victorian fiction, then why not try reading The Difference Machine, an alternate historical novel by William Gibson and Bruce Sterling. In their story, the Analytical Engine has actually been built, changing the balance of world power. Babbage has great political influence. 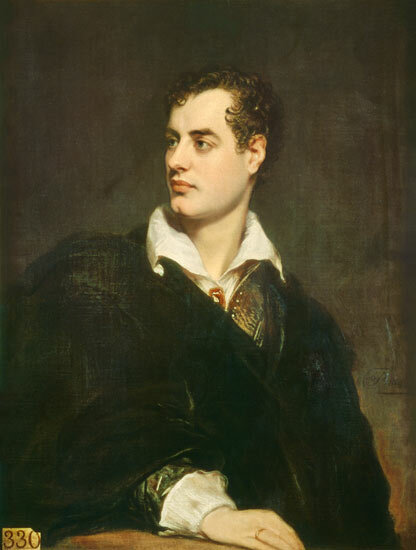 The Prime Minister is the scandalous Lord Byron (still living, rather than dying in Greece) who heads the Industrial Radical Party: a party in which his daughter, Ada, is also a prominent figure. Also, her computer ‘punch cards’ have been developed to enable a gambling ‘modus’ – betting having been a penchant of our heroine in real life. The VV would like to end this post by sharing something seen on the Datamancer website; a wonderful hybrid laptop encased in a Victorian music box ~ something that Ada Lovelace would surely have loved to own herself. Absouletly fascinating as usual. Women translating mathematical codes. Why were we not taught about these wonderful women in school? 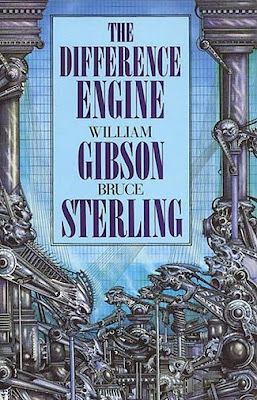 I haven't read The Difference Engine, but it's interesting that Gibson et al appear to have made Byron a more sympathetic figure by imagining that he had close dealings with his daughter in that alternate reality. He doesn't really deserve their imaginative rehabilitation, in my view. 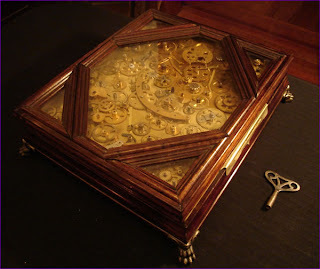 Hello Bellanta - In the Difference Engine, Byron isn't actually a likeable figure, and his relationship with his wife and daughter is one based more on abuse then affection. My book Prose 1997 - 2008 includes an essay on Ada Lovelace and how she combined both poetry and science in her life. What an excellent post! 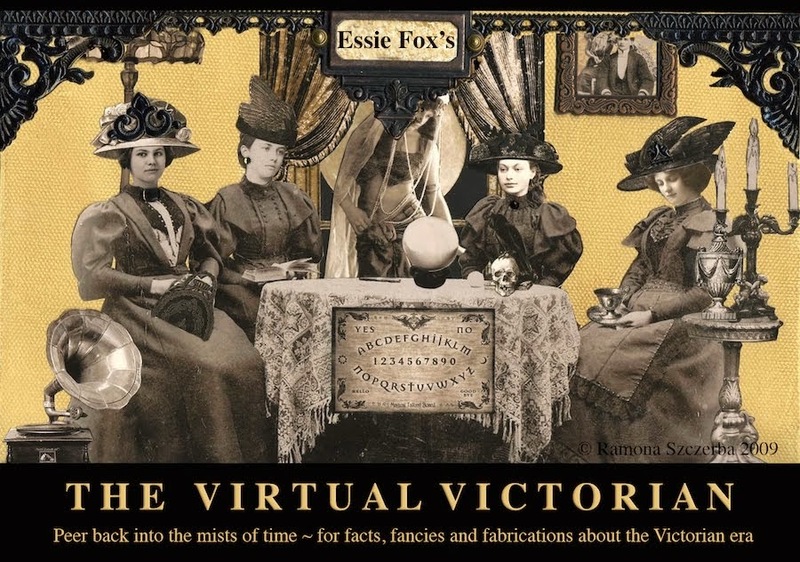 Found it very interesting - I had some vague knowledge about Ada Lovelace and Charles Babbage but connection to Byron was a revelation! Fabulous post, as always! 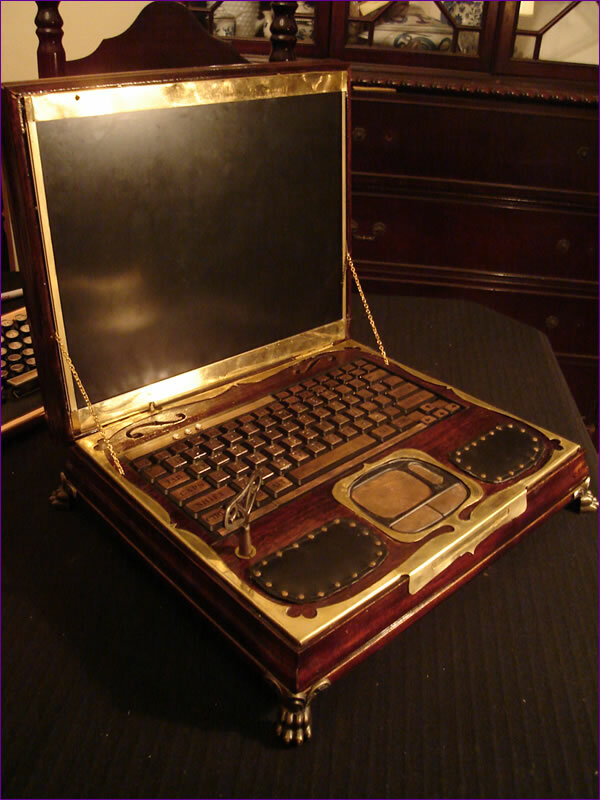 And I love the steampunk laptop (this is JUST what I want to write on). Thank you, Jan and Lidian - and yes, that laptop is amazing! WE just missed Ada Lovelace Day on Oct 7th. "Ada Lovelace Day aims to raise the profile of women in science, technology, engineering and maths by encouraging people around the world to talk about the women whose work they admire"
Though surely the wily Victorians would have incorporated a set of telescopic legs, maybe a fold down shooting stick to match? 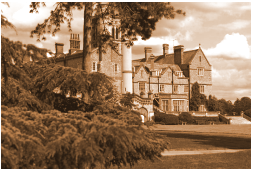 Please note that the photo labelled as 'Ockham Park in Surrey' is actually Horsley Park in Surrey, now a Devere Venue.